NOW ON SALE: Moses #0! Check it out folks — new stuff from 20th Place Media: our latest comic book creation, Moses #0! 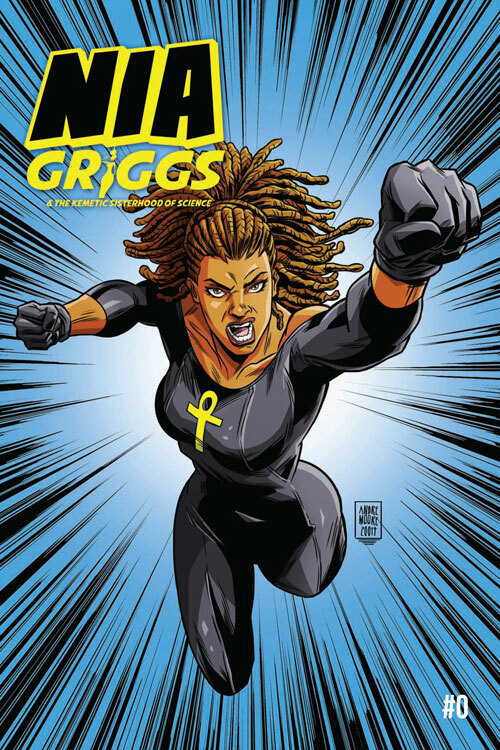 NOW ON SALE: Nia Griggs & The Kemetic Sisterhood of Science #0!! The world needs more African-American heroes … so we decided to create a few. Named after the street where its founders were raised, 20th place Media was birthed by writers/publishers/brothers Carlton Hargro and Darrick Hargro as a comic book and entertainment company dedicated to creating diverse characters that challenge traditional stereotypes based on race, gender and more. Stay tuned for comics and other related materials—starring your new favorite heroes and she-roes—coming your way in the near future and beyond.